Mr. Jubinsky is one of the founding attorneys of Figari + Davenport and a member of the firm's executive committee. He has tried over 50 cases in federal and state courts and arbitrations, including business and insurance cases, and has been involved in over 125 reported opinions. In 2003, Mr. Jubinsky was recognized by the Dallas Business Journal as one of the 10 top litigators in the Dallas-Fort Worth area and since 2008 has been recognized by and listed in The Best Lawyers in America. Over the past 30 years, Mr. Jubinsky has amassed extensive experience in complex life, health, and disability insurance, financial services matters, and Texas prompt-pay disputes. As this area of the law has become more sophisticated and highly regulated, Mr. Jubinsky’s continuing involvement, knowledge, and industry-wide reputation has helped to establish Figari + Davenport as a recognized leader in complex insurance litigation. Mr. Jubinsky represents insurance companies and third party administrators in state and federal courts in Texas and other states, including class action and multi-district litigation, as well as arbitrations before the American Arbitration Association. Mr. Jubinsky also represents securities brokers/dealers in arbitrations before FINRA. 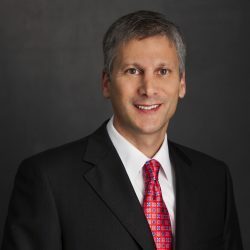 Mr. Jubinsky also represents corporations in lawsuits involving business disputes, non-competition, trade secret and employment matters, franchise disputes, premises liability and personal injuries, partnership disputes, real estate disputes, and consumer product litigation. Mr. Jubinsky served as lead counsel for the nation's leading digital satellite television service provider in the prosecution of several hundred lawsuits in Dallas and Fort Worth alleging the interception and decryption of satellite communications. Mr. Jubinsky’s clients include national and international companies in the insurance, financial services, satellite communications, beauty supply, and consumer product industries, including Fortune 500 companies. Mr. Jubinsky is accessible to his clients and responsive to their varying needs, and is always cognizant of costs and maintaining efficiency, which is much appreciated by his loyal client base. As lead counsel in Cambus, Inc. v. Armstrong McCall, LLP, Cause No. 07- 04- 03404 – CV (Montgomery County, Texas), Mr. Jubinsky successfully defended a national franchisor of professional hair and beauty products in a 10 million dollar lawsuit brought by a franchisee for wrongful termination of a franchise agreement. The jury, after a week-long trial, deliberated less than ten minutes and found in favor of the franchisor. As lead counsel for a national disability insurer, Mr. Jubinsky successfully defended the insurer in a Pennsylvania arbitration in 2014, upholding its claim denial and finding in favor of the insurer. As lead counsel for a national health insurer, Mr. Jubinsky successfully defended a claim by a former agent seeking millions of dollars in damages based upon his allegations that the company had improperly rejected business and calculated premium rates for certain policies. After a week-long arbitration in Green Bay, Wisconsin, the panel ruled that the agent's claims were without merit, and held in favor of the insurer in all respects. As lead counsel in Charbonnet v. Armstrong McCall, Inc., et al., No. 04-12-00711-CV (Tex. App. San Antonio 2013), Mr. Jubinsky obtained a summary judgment that was affirmed on appeal that defeated plaintiff’s product liability claims. The court found that plaintiff’s claims were barred by the doctrine of release. As lead counsel in Charles Lathem v. William Kruse and Walking T Ranch, LP, 290 S.W. 3d 922 (Tex. App. Dallas 2009, no pet. ), Mr. Jubinsky obtained a summary judgment that was affirmed on appeal that defeated plaintiff’s claims for an interest in the profits from the sale of a real estate development. The court found that plaintiff’s claims were barred by the statute of frauds. As lead appellate counsel in Morgan Buildings and Spas, Inc. v. Humane Society of Southeast Texas, 249 S.W.3d 480 (Tex. App. Beaumont 2008, no writ), Mr. Jubinsky obtained a reverse and render on appeal that upheld the validity of a damage and reliance disclaimer and merger and integration clause in the form purchase agreement of a national modular building and spa company. Significant recent rulings as lead counsel for insurance clients include: Williams v. UnitedHealthcare of Texas, Inc., 2016 WL 1056259 (Dist. Court S.D. Tex. 2016) (upholding removal based on ERISA); Johnson v. UnitedHealthcare of Texas, Inc., 2016 WL 929324 (Dist. Court W.D. Tex 2016) (summary judgment granted for insurer that it did not abuse its discretion in denying plaintiffs’ claim for benefits); South Texas Health System v. Care Improvement Plus of Texas Ins. Co., 2016 WL 526374 (Dist. Court S.D. Tex. 2016) (summary judgment granted for insurer that Medicare claims preempted by federal law, and medical provider unable to recover statutory penalties under the Texas Prompt Pay Act for late paid claims); American Heritage Life Ins. Co. v. Morales, 159 So.3d 160 (Fla. App. 3 Dist. 2015) (summary judgment granted for insurer that alcohol exclusion under an accidental death policy applies when insured’s intoxication contributes to his death, and does not require the intoxication to be the sole cause of the accident); McAllen Anesthesia Consultants, P.A. v. United Healthcare Services, Inc., 2015 WL 9257154 (Dist. Court S.D. Tex. 2015) (motion to dismiss granted for claims administrator of employees state retirement plan based on immunity when acting as the administering firm and agent of state government entity); Mixon v. Golden Rule Insurance Company, 2014 WL 673351 (Dist. Court S.D. Miss. 2014) (summary judgment granted for insurer under Mississippi law dismissing bad faith, negligence, and misrepresentation claims); Hall v. Fidelity & Guaranty Life Insurance Co., 2014 WL 642802 (Dist. Court N.D. Texas 2014) (summary judgment granted for insurer that life policy lapsed for nonpayment of premium prior to death of insured); Delluomo v. American Medical Security Life Insurance Company, 2013 WL 5517483 (Dist. Court W.D. Okla. 2013) (summary judgment granted for insurer under Oklahoma law dismissing bad faith claim); Franklin v. American Heritage Life Insurance Company, 2013 WL 3815982 (Dist. Court S.D. Ind. 2013) (summary judgment granted for insurer under Indiana law rescinding life insurance policy due to misrepresentations on the application for insurance); Richard v. Golden Rule Insurance Company, 2012 WL 6728582 (Dist. Court E.D. La. 2012) (summary judgment granted for insurer under Louisiana law on short-term medical policy); Roberts v. American Medical Security Life Ins. Co., 2012 WL 5305096 (N.D. Okla. 2012) (summary judgment granted for insurer dismissing agent claims for commissions and tortious interference); Emergency Health Centre at Willowbrook, et al. v. UnitedHealthcare of Texas, Inc., et al., 892 F.Supp.2d 847 (S.D. Tex. 2012) (summary judgment granted for insurer that medical claims for facility charges need not be paid to an unlicensed emergency medical facility); American Health Underwriters, Inc., et al. v. Golden Rule Insurance Company, 2012 WL 3779928 (Dist. Court E.D. Tex. 2012) (motion to dismiss granted and insurer not liable for actions taken by an indispensable party); Krames v. National Life Ins Co., et al., 638 F.3d 489 (5th Cir. 2011) (summary judgment affirmed for insurer dismissing fraud, conspiracy and DTPA claims in dispute over 412(i) retirement plan); Sunny Corral Management, LLC v. Zurich American Insurance Company, et al., 2010 WL 1993195 (N.D. Tex. 2010) (summary judgment granted for insurers dismissing warranty claims); Johnson v. Boston Mutual Life Insurance Company, 2010 U.S. Dist. LEXIS 21394 (W.D. La. March 8, 2010) (summary judgment granted for insurer on ERISA claim for disability insurance benefits); Jowers v. UnitedHealth Group, et al, 2010 U.S. Dist. LEXIS 753 (W.D. Tenn. Jan. 6, 2010) (dismissal of complaint for agent commissions for failure to state a claim).